Being a Woman Surgeon, the first anthology of its kind, consists of contributions by a multidisciplinary group of female surgeons. This compilation of essays, interviews, and poems captures the essence of being a woman in a demanding medical field and offers vivid portrayals of the culture of surgery from a woman's perspective. The contributors, some of whom are from Baltimore, are of different ages, races, cultures, and backgrounds and represent various surgical specialties. 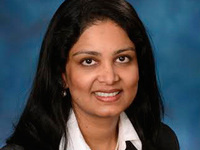 Dr. Preeti R. John, editor of Being a Woman Surgeon, is a critical care surgeon at the Baltimore VA Medical Center and clinical assistant professor in the department of surgery at the University of Maryland Medical Center. Dr. John moderates a panel of contributors including: Dr. Nia D. Banks, plastic and reconstructive surgeon; Dr. Patricia J. Numann, general surgeon with special interest in breast and endocrine surgery and former President, American College of Surgeons; Dr. Susan E. Pories, breast surgeon and President, Association of Women Surgeons; Dr. Kathleen Yaremchuk, Chief of E.N.T., Henry Ford Hospital, Detroit; and Dr. Martha A. Zeiger, endocrine surgeon. Dr. Joan Huffman, critical care surgeon, and Dr. Sylvia Marina Ramos, general surgeon and breast surgeon, reads poetry they contributed to the book. Writers LIVE programs are supported in part by a generous gift from PNC Bank.